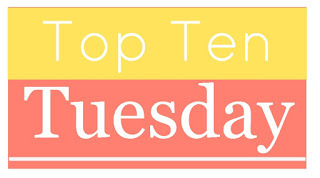 This entry was posted in Book Lists, Top Ten Tuesday and tagged Abby Hanlon, Alan Rabinowitz, Ben Hatke, Bob Shea, Brendan Kearney, Cátia Chien, Charolette Moundlic, Deborah Wiles, Jon Klassen, Josh Funk, Julie Morstad, Mac Barnett, Matthew Cordell, Olivier Tallec, Sara O'Leary, Top Ten Tuesday by carriegelson. Bookmark the permalink. Roald Dahl is so much fun to read aloud. Hmmm . . .
We squealed in giggles and cringed for our characters while reading Fuzzy Mud. Another favourite was sharing our predictions of Fish with friends from New Zealand during Global Read Aloud. Loved your list, and made some notes of titles for younger classes. Thanks Aaron! I can imagine it would have been to connect to other classes during GRA! Oooh these all look great! I have been meaning to do a best of post of the books I read to my daughter before bed at night too. Thanks for reminding me to get on that. It is wonderful to have a reading community. Poetic, poignant, inspiring and comforting. My fave. Berkley Breathed is the best. He captures something in stories that . . . is just kind of amazing. I’ve dived into reading aloud to my 7th and 8th graders this year. My fifth period class is in loose with Margaret Peterson Haddix’s “Found,” and every day wailed and begged for one more chapter. The minute we finished it, they started lobbying for me to read the next book in the series. And when I got to meet Ms. Haddix and sent them a selfie of us together, the sub sent me back the greatest picture of them squealing and gasping. The same group (they are such a great audience!) also got really into “Separate is Never Equal.” The class is about 80% Latino, and when I read the line about signs saying “No Dogs or Mexicans,” there were horrified gasps, and one girl looked at me and said, “I gotta say–that hurts, right here,” as she patted her heart. They were proud of Sylvia and her family. So lovely that your class is so passionate. Love what read alouds do! I read Neil Gaiman’s “Fortunately, The Milk” with a class, and it worked brilliantly. The kids were initially reluctant to be read to, thinking themselves “too grown up” for a read aloud, but Gaiman soon had them hanging on every ridiculous sentence. I also did “Moo!” by David LaRochelle with a younger group, and it had them in stitches! We then made our own picture books starring different animals and using only a single word. So much fun! Thank you for sharing these, I’ve got a lot of inspiration here! Wonderful! I love all of the read aloud stories everyone is sharing! Kimberley, thank you for this! So lovely to hear! Books really do come alive when we read them!